Buy It in the UK! Last year, before the ‘Pen and Sword’ tour even launched, I took a few days in Istanbul with one of my oldest friends, Steve Callahan, and my wife Sarah. When we met up with Steve, he told me he’d been reading Simon (SJA) Turney’s Ottoman trilogy on the plane. This caused immediate feelings of guilt. Robin Carter (Parmenion) reccomended ‘Thieves Tale’ when it came out, and I’d liked it, but as the tech-incompetent I truly am, I’d bumbled–something–on my e-reader and lost it. 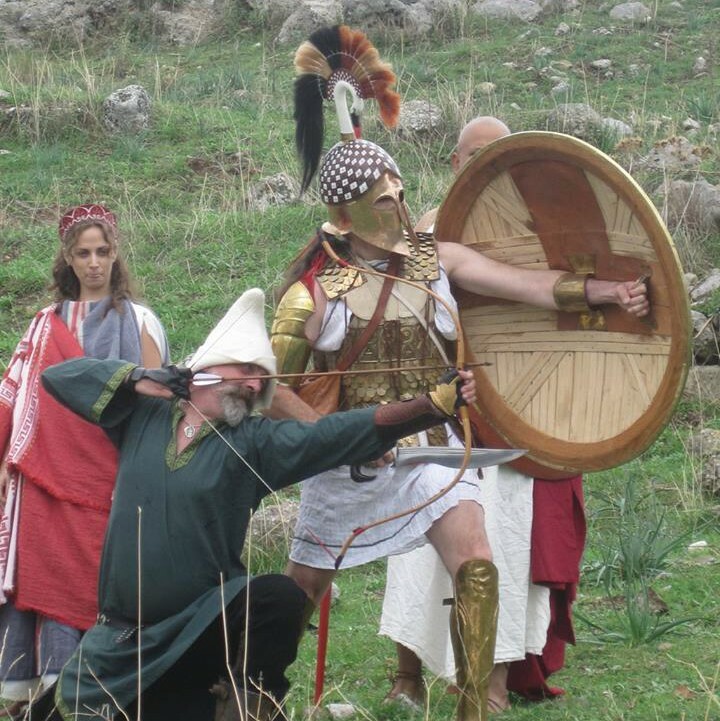 However, when ‘Pen and Sword 2014’ was done (and we’re doing it again this year for anyone looking for a great vacation with swordplay in early November 2015) I was determined to get back into it. My e-reader was still unforgiving, so I read the whole thing on my computer screen when I should have been editing Tom Swan (who also spends time in a slightly earlier version of Istanbul). Wow. Delightful. I think that the best thing about this series is the author’s authenticity and his knowledge of places and events. Side note–next to reenacting (which, oh, by the way, SJA Turney also does), travel is the next best teacher for the historical novel. Turney knows Istanbul with an intimacy that I admired every page. All his locations are real, or easily conjured even in the modern street scape of the city. That’s the Palace of Blacharnae. I didn’t take the ‘Turney’ tour and I missed some of his locations, but those I did see were fantastic, evocative, and just made his stories all the better. Oh, and now a word on plot. I loved the plot. I’ll avoid spoilers and say–this is NOT Military History. In fact, it’s somewhere between ‘Thriller’ and ‘Mystery’ and it is all based on real events. Turney also avoids almost all of the tropes that can beset our genre–Turks are not ‘evil’ and Christians are not ‘good.’ The people of Istanbul are just people, and the character–a Christian Greek–goes through a story long realization that life in Ottoman Istanbul could be a lot worse…which I loved. 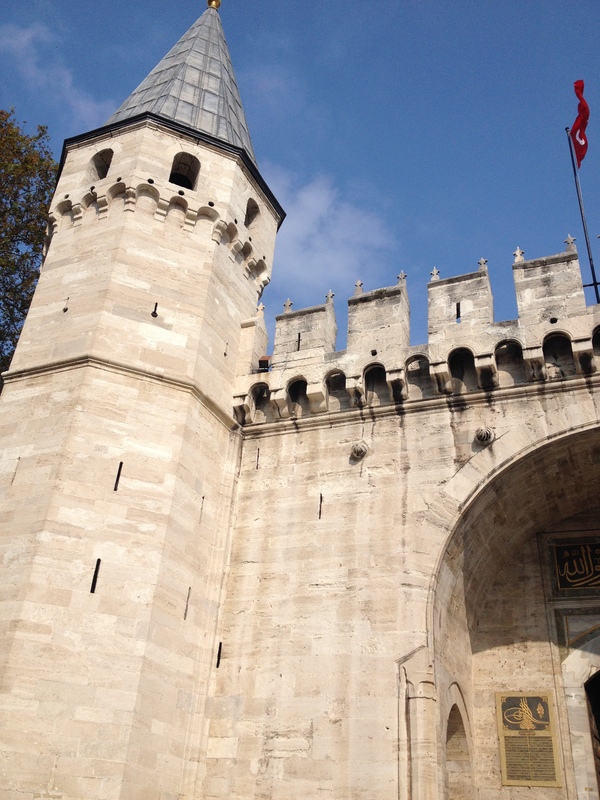 As an aside, that’s a picture of the gates of the Topkapi Palace, and somehow, they made me think I’d strayed into the French Loire. 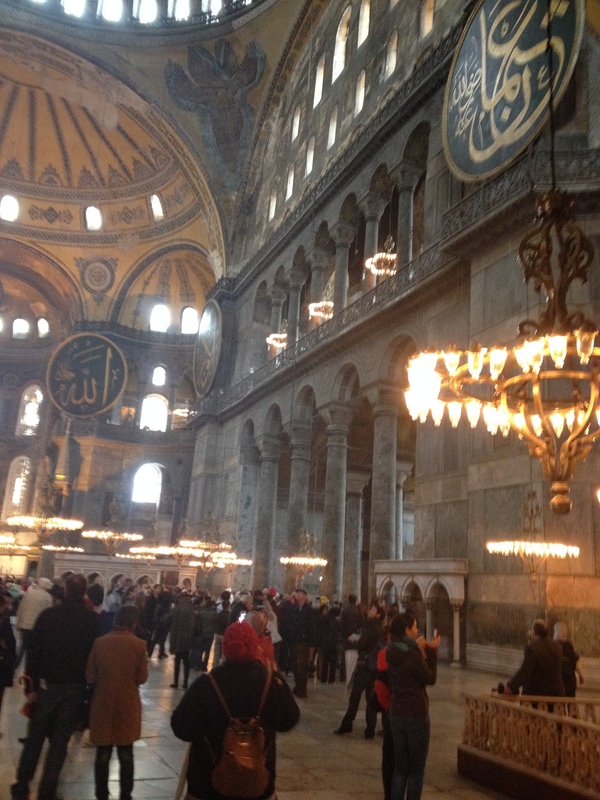 It is quite clear when you are in Istanbul that East and West were busy emulating each other as fast as they could. And for armour and sword buffs–the Topkapi armoury has to be seen to be believed, with more bows and arrows fromt he 15th-17th century than I’ve ever seen elsewhere, as well as some superb swords and targets, and no photos allowed. Grrrrr. 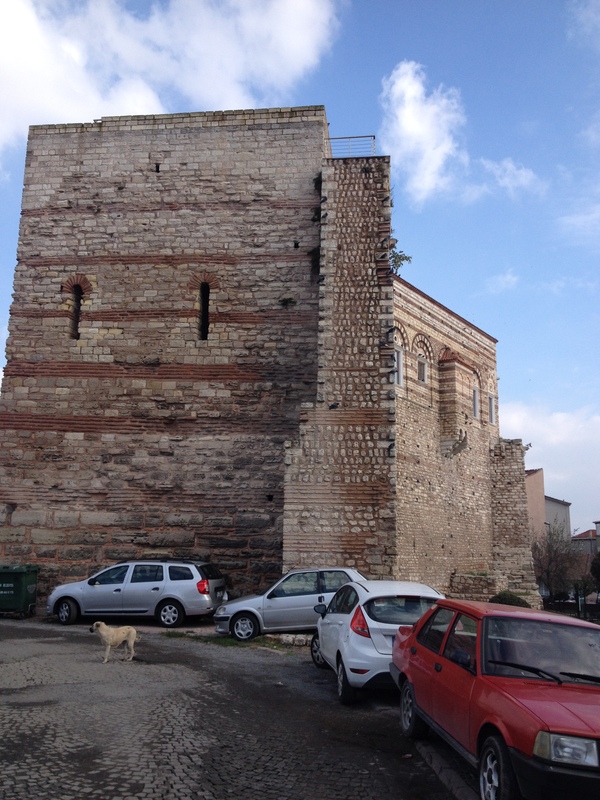 The ancient city walls are from Roman times, and feature several times in the story. Turney writes about ancient Rome (Marius’s Mules!) and his writing is delightfully ‘aware’ of the Roman past of the city. The walls themselves are–incredible. Anyway–plot and authenticity. 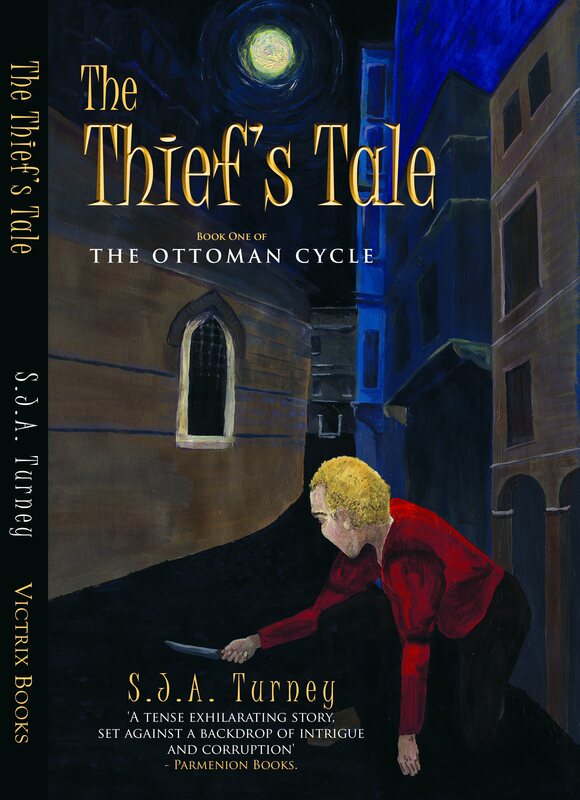 The Ottoman Cycle is excellent, and you should drop whatever you are doing and buy it. Oh, and go to Istanbul, too. Old friend you have written a very tempting review of Turney’s ‘Thief’s Tail’. The last time I read reviews and comments made by you and your friends my reading budget took a direct and costly hit. As a result I am now enjoying a few excellent reads from the pen of Colleen McCullough. I am reading her Roman series along with John Williams’ ‘Augustus’. (highly recommended) Some how this linked me into Allan Massie who is rapidly becoming one of my favorite historical novelist. I spent last night with his superb ‘A Question Of Loyalties’. Your comments on Turney’s work caused me to recall Eric Ambler’s superb cloak and dagger stories ‘In the Light of Day’ and ‘A Coffin for Dimetrios’. Yes, I look forward to reading Mr. Turney soon. Thank you for the pictures and comments on Istanbul. Your comments, as usual, are right on target in describing this seminal city of history. Fortunately I have enjoyed several visits to Istanbul and the Turkish Coast—what an adventure. 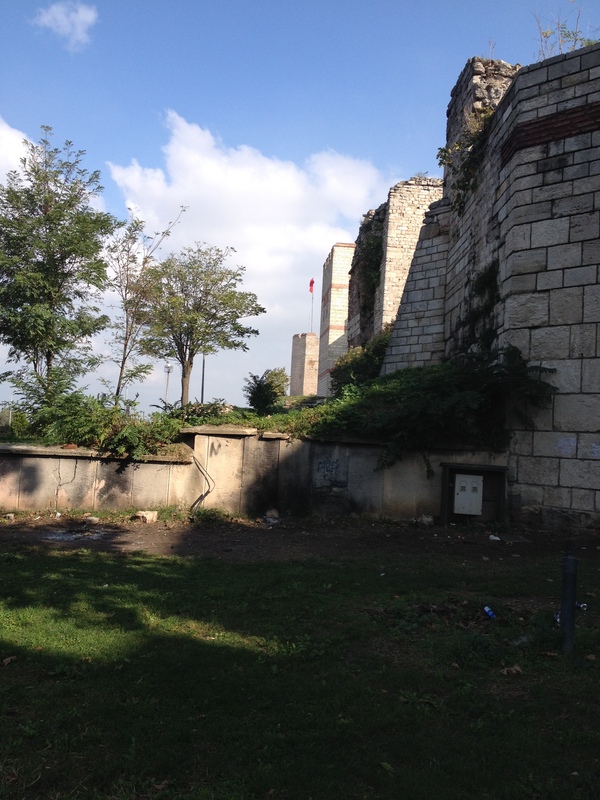 Yes–Sarah and I fell in love with Istanbul. But I think it is suffering from the increased Islamitization that is also affecting the rest of the east–women in birkhas who used to be in mini-skirts, etc. On the other hand, everyone was very nice–had some great political conversations about the Kurds and ISIS that some of our leaders should hear..you know, regional business as usual….